Hard rock band from Pennsylvania, formed in 1998. 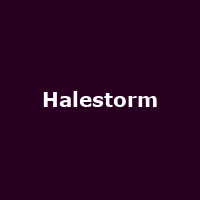 Members include Lzzy Hale - vocals and guitar, Arejay Hale - drums and percussion, Joe Hottinger - guitar and Josh Smith - bass. They released their self-titled debut-album in 2009, followed by "The Strange Case Of..." (2012), "Into the Wild Life" (2015) and 2018's: "Vicious".